These are the thoughts of Julian Henry Francis Grenfell, son of the first Baron Desborough, and the man who penned Into Battle. It’s worth re-reading those lines once again– to check, if nothing else, that you read them correctly. Go on, look back over them. I’ll wait down here for you. That’s right. Julian Grenfell loved war. He enjoyed hunting human beings. It was, for him, like spending a happy day in the park. Fighting made life more vivid for Julian Grenfell. I’ve spent years teaching Julian Grenfell’s ‘Into Battle’– one of the most popular poems of the First World War– and it’s a poem that students at Southfields tend to like. I generally can’t conceal my pleasure when reading it, and perhaps that helps, but it’s a poem that always provokes discussion. Grenfell’s enthusiasm for war does not find a lot of sympathy amongst students today. He is called a number of names, ‘mad’ and ‘stupid’ among them. A recurring word that has popped up over the years to describe him has also been psychopath. His love of war has been discussed as being symptomatic of a diseased brain. And, indeed, why not? Well, it’s not particularly useful to label writers. To explain away individual attitudes or artistic choices in terms of medical issues nearly always misrepresents the writer, and diminishes their work. Great artists are often weirdos: that’s why they see the world differently to the rest of us. Wiliam Blake may have had schizophrenia, Dostoevsky epilepsy and Van Gogh may have been bipolar. Ultimately their individual illnesses don’t matter that much, however: their works of art are more important than they are, frankly. We know next to nothing about Shakespeare, but his plays survive to inform us and give us pleasure. It doesn’t really matter what his sexual orientation or attitude to bear-baiting was. The plays (and the poems) are the thing. By the same token, we’d want to look a little deeper into the life of Grenfell and the society in which he grew up before deciding that he was a psychopath. His attitude to killing other men seems, on a moral level, just as deviant to me as to the students I have taught—but that doesn’t necessarily mean that he was crazy, after all. In this posting and the one following, we’re going to look at different ways of understanding Grenfell’s attitude to war. It will hopefully help you explore new ways of reading at A-level. If you’re studying, as we are at Southfields, the AQA Specification A AS level, we will be looking specifically at aspects of Assessment Objective 4 (AO4)— historical context. AO4 has proportionately less weighting when grading papers at AS level than the other AOs, but that doesn’t mean we can ignore it when we write about literature. As a student of English understanding the historical background of a text is important. In terms of AS, if you’re incapable of showing your understanding of historical context, you’ll almost certainly falter when graded according to the other Assessment Objectives. For example: how can you meaningfully compare Journey’s End (1928), say, with Blackadder Goes Forth (1989), without referring to the fact that seven decades lie between their composition? Making linkages between texts is graded according to AO3, but it would be hard to score highly in this area if you didn’t know how attitudes had changed from the 1960s onward, leading to popular scepticism about the conduct of the war. Knowledge of historical context about the production of literature is crucial, even if we want to discount the importance of that history. In this posting, however, we’re asking a simpler question: who was Julian Grenfell? 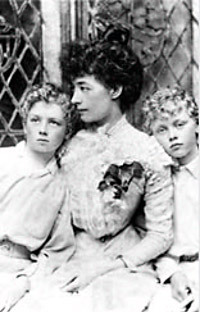 Ettie Grenfell and her two sons, Julian and Billy. Both were killed in the First World War. You can find a pithy biography on the Grenfell family’s website. Julian Grenfell was born in 1888 to a wealthy upper class family in Oxford. He was the son of William Grenfell, a celebrated athlete and ennobled ex-MP father; his mother, Ettie, was an intelligent and promiscuous socialite. Born into this world of high privilege, Grenfell was sent to Eton and later Oxford University. A charming but aggressive young man, he was both popular and a bully; he would attack aesthetes (fashionable dandies of the time dedicated to beauty and art) with his horse whip. He rowed, he hunted; and he read, and he roared with laughter, and he cracked his whip in the quad all night; he bought greyhounds, boxed all the local champions; [wrote] poetry… and charmed everybody. Except aesthetes, of course. He dabbled in poetry (read his ode to his greyhound, here) and wrote a number of essays that John Stallworthy judges were “an attack on the values of English society in general, and his mother’s social circle in particular”. Grenfell’s background may have been privileged, but his relationship with his mother in particular produced a sense of instability which some of Grenfell’s biographers have seen as recklessly propelling him towards war. Grenfell was something of an angry young man, then, and a frustrated rebel: though at least until the Great War, a rebel without a cause. 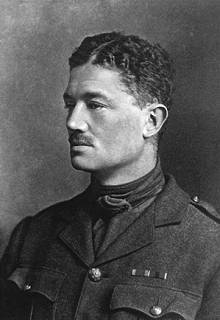 Depressed by the lack of interest in his writing, he joined the Royal Dragoons in 1910, and was sent to India: and when the First World War began he was posted immediately to Flanders, and fought in the First Battle of Ypres (it is possible to read online a 1917 eulogy to Julian Grenfell by Viola Meynell that, while unreliable, gives a decent flavour of his experience of the war). 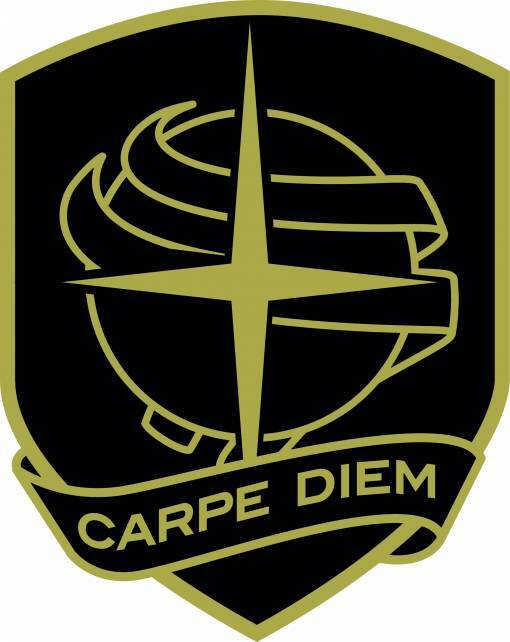 He was honoured for his bravery stalking snipers during that battle, and was offered a staff position away from the front lines, which he refused. In May 1915, however, he was hit in the head by shell fragments and died in a hospital in Boulogne. ‘Into Battle’ was published in The Times the very next day. It quickly became one of the most acclaimed poems of the war, and the legend of another soldier-poet was born. To be fair, then, little in Grenfell’s biography suggests a psychopath. It seems Grenfell was forthright and charming, rude and arrogant; a sensitive young man whose manly mask hid a troubled personality. Not that unusual, really. In the next posting, we will engage less with the man, and more with the matter of history, and the society that made Julian Grenfell.